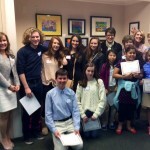 Dorsey Barker, Jose Chavez, Sarah DeLoach, Reid Foster, Hayden Garniewicz, Andrew Harrington, Lindsay Hyer, Eliana Adame Moreno, Brooke Wrigley, and Alex Wynne. 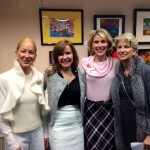 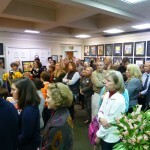 We hope you enjoy the images of this fabulous Opening Night Reception! 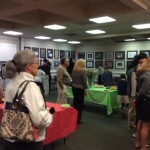 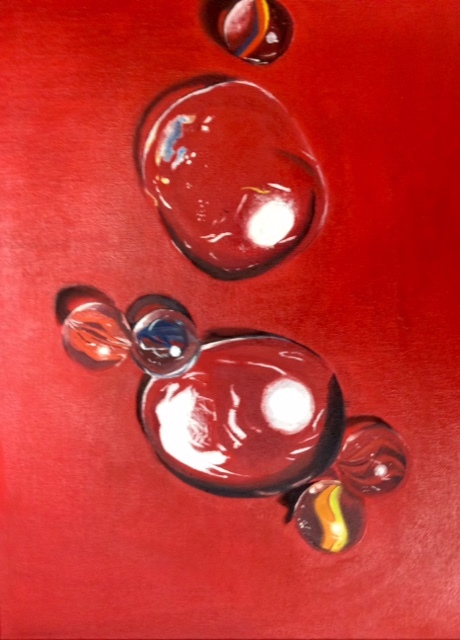 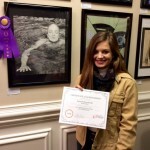 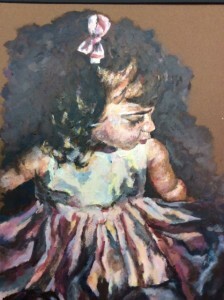 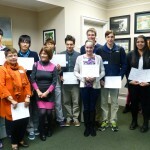 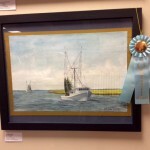 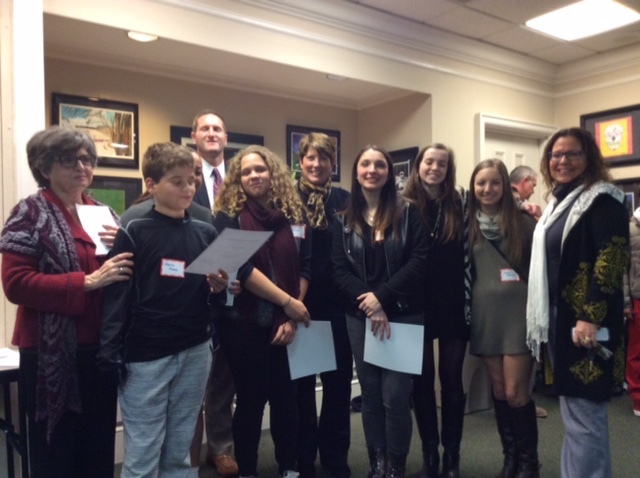 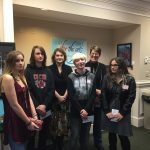 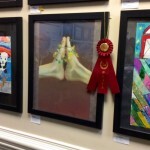 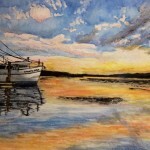 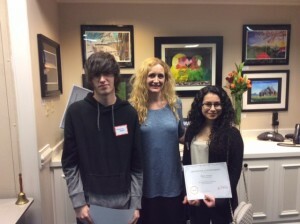 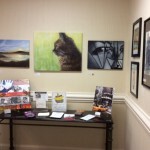 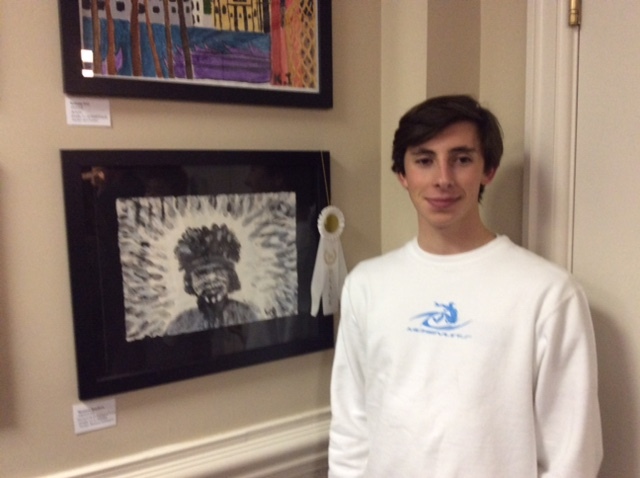 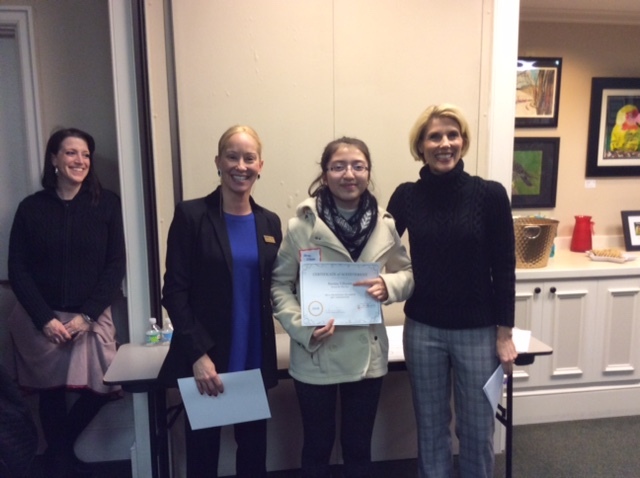 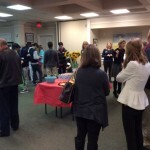 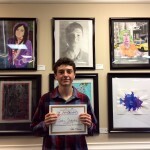 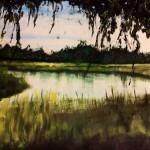 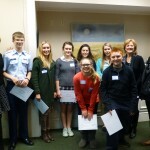 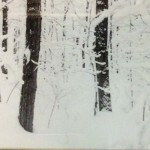 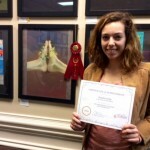 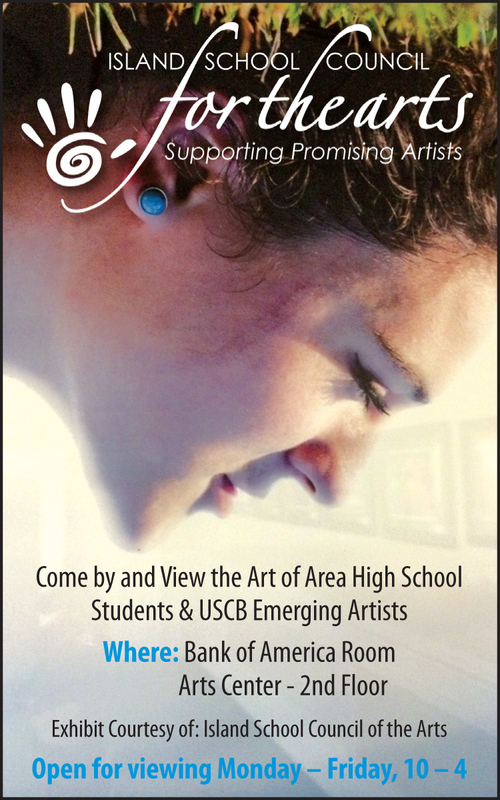 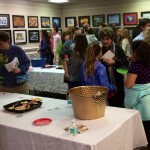 Our Winter Exhibition November 82014 – January 8, 2015 is a collaborative effort with the USCB Emerging Artists Competition featuring the Bluffton and Hilton Head Island High School competition winners. 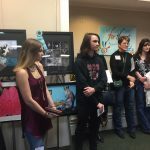 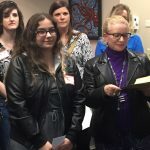 Impressive works of art have been on display in the annual Promising Picassos Student Art Exhibition, which opened with an Artists’ Reception on Thursday, February 6th in the Bank of America room of the Arts Center of Coastal Carolina, and then opened to the public the next day. 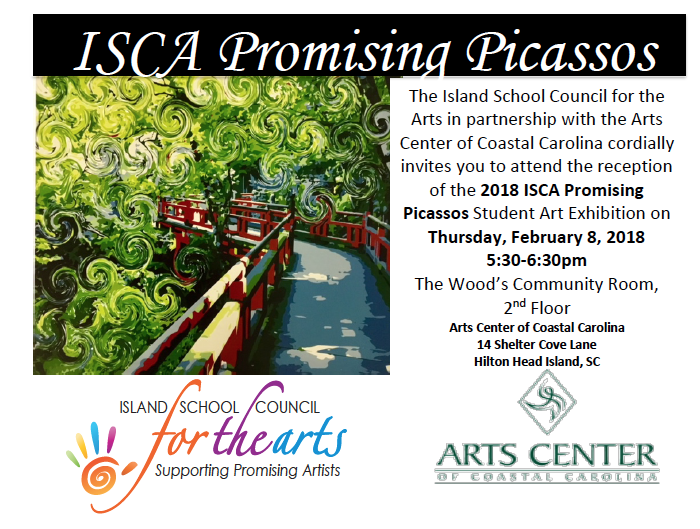 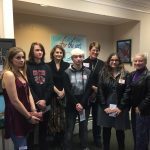 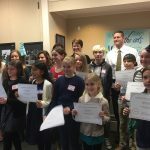 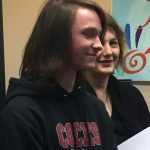 Since 1971, the Island School Council for the Arts (ISCA) has proudly supported promising artists and their art teachers through initiatives like the Promising Picassos Student Art Exhibitions. 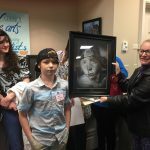 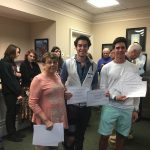 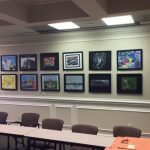 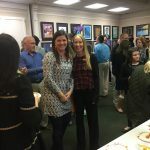 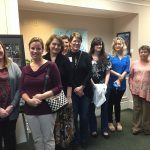 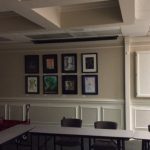 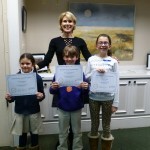 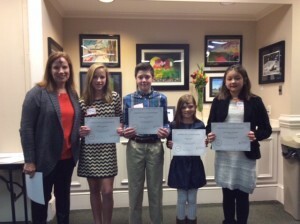 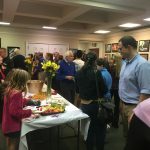 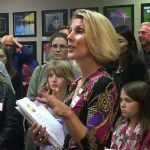 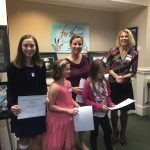 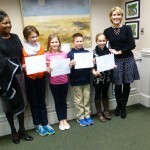 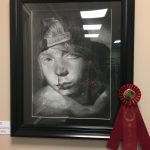 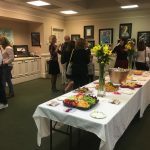 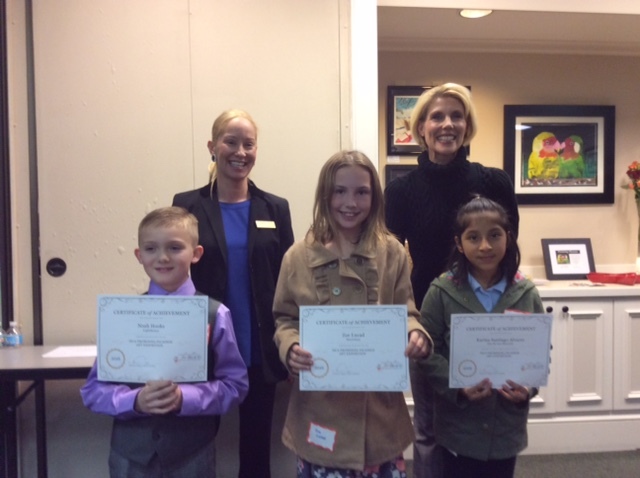 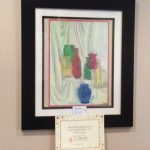 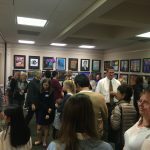 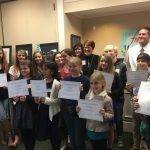 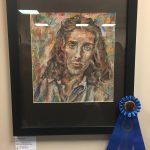 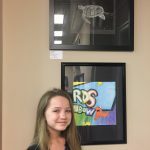 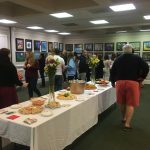 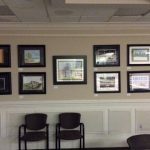 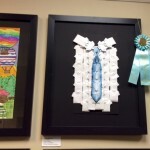 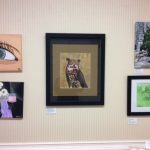 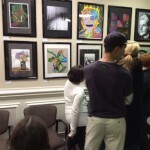 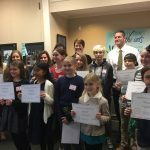 In recognition of National Youth Art Month, ISCA will showcase student artwork in local prominent businesses in the Hilton Head Island and Bluffton area. 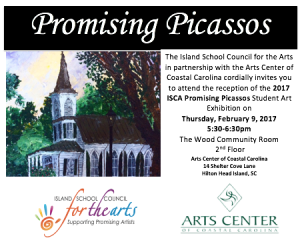 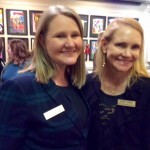 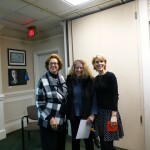 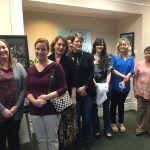 Over the past year, ISCA has made an invaluable arts-related partnership with the Arts Center of Coastal Carolina. 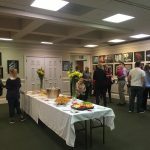 Through this partnership ISCA has been able to present a dance residency to three area schools with the famed Hubbard Street 2 Dance company from Chicago, IL., as well as four separate Promising Picassos Student Art Exhibitions featuring almost 300 student artists. 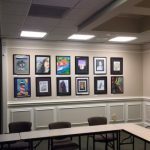 In July, ISCA officially moved into their new office in the Arts Center of Coastal Carolina. 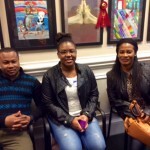 The two organizations will team up to promote the performing arts with the RISING STARS Youth Performing Arts Talent Competition to be held on Saturday, March 29, 2014 at 2:00pm as the Grande Finale to the National Youth Arts Month Celebration. Throughout March, ISCA will showcase the skills fostered through experience in the visual arts by displaying the top 35 pieces from the 2014 Promising Picassos Student Art Exhibition in prominent local businesses: Arts Center of Coastal Carolina, BNC Bank, Bleu, Coastal Plains Insurance, Continuum Medical Staffing, Core Pilates, Four Corners Gallery, Frey Media, Georgia Skin & Cancer Clinic, Hilton Head Island and Bluffton Chamber of Commerce offices, Hilton Head ENT & Sinus Center, Island Getaway Rentals, J Costello Gallery, Karis Art Gallery, Main Street Youth Theatre, May River Gallery, McNair Law Firm, Morris & Whiteside Galleries, Outpatient Surgery Center, Pino Gelato, Picture This Gallery, Pineland Station, Pluff Mud Art Gallery and Tobin Bone & Joint Surgery. 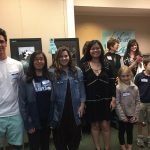 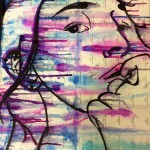 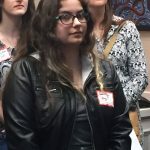 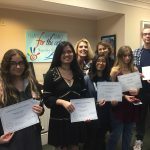 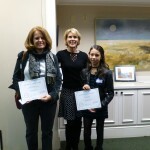 The featured student artists are: Dominque Antunez, Jenette Bago, Yariela Blanco, Samantha Brummer, Becca Cooke, Charlynne Crutcher, Francesca Guidobono, Deia Hunt, JoEl James, Samantha Kriney, Kristin Langan, Cristian Lobos, Karina Magana, Krystal Maldonis, Matt Mannion, Abi Mendoza, Will Monts, Tania Moreno, Mac Orie, Vanessa Orrell, Anna Pellicci, Charlie Pitts, Freisser Quesada, Kendra Rabon, Clementina Rodriguez, Sheldon Smith, Eli Sobel, Heidi Stine, Rachel Stratton, Chloe Strickland, Lucas Tomita, Terry Tracey, Lizzy Tupamahu, Kanawut Uenghiranpaisan, and Laurel Woerheide. 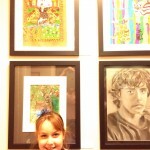 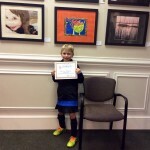 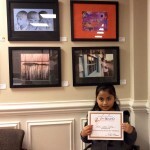 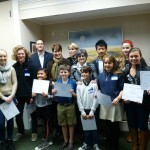 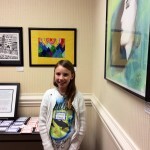 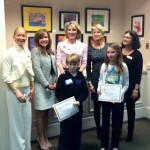 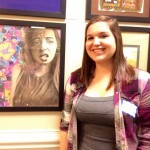 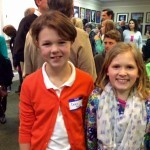 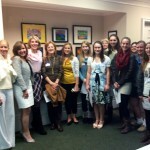 ISCA celebrates National Youth Art Month! 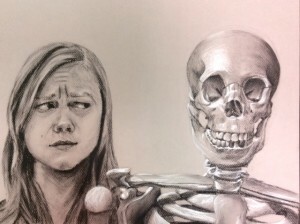 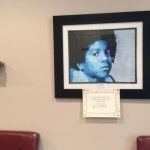 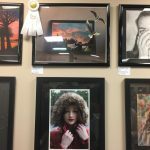 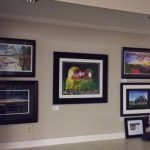 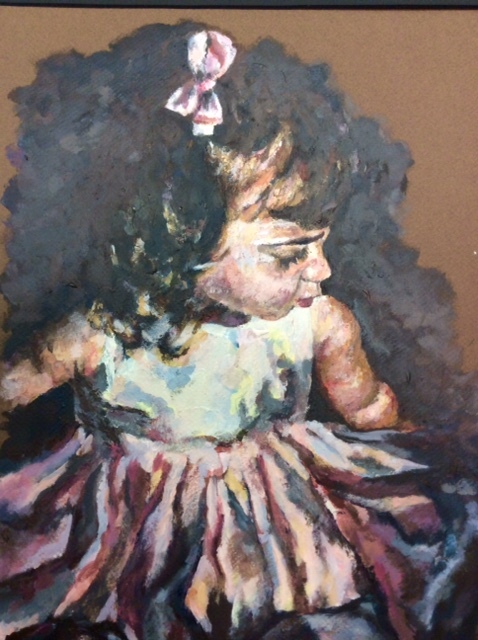 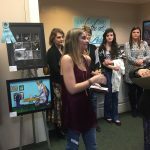 Throughout March, ISCA will showcase the top juried student artwork form the Promising picas Student Art Exhibition in local prominent businesses. 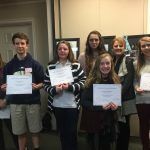 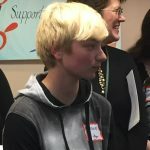 ISCA will also showcase the top 25 youth performing art acts at the annual ISCA RISING STARS community event and talent show on at the Arts Center of Coastal Carolina. 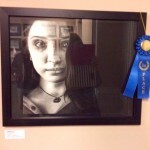 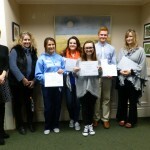 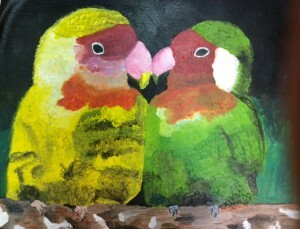 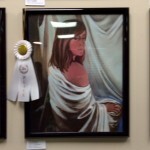 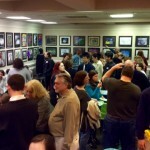 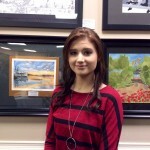 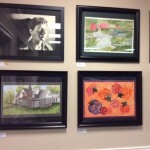 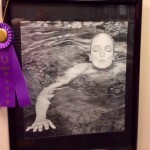 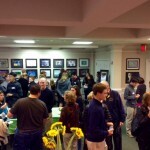 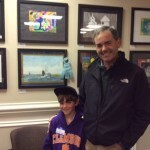 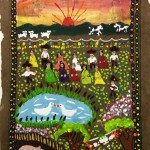 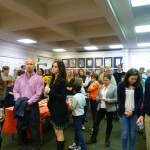 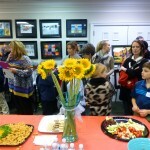 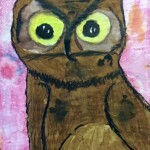 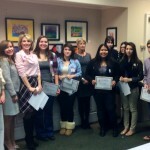 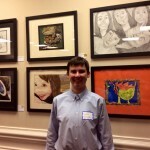 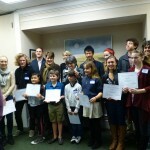 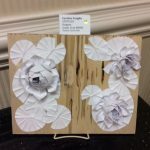 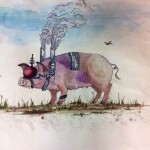 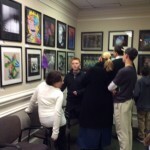 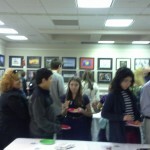 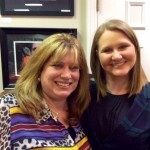 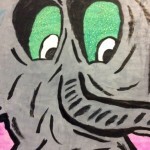 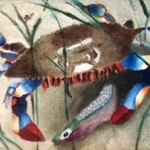 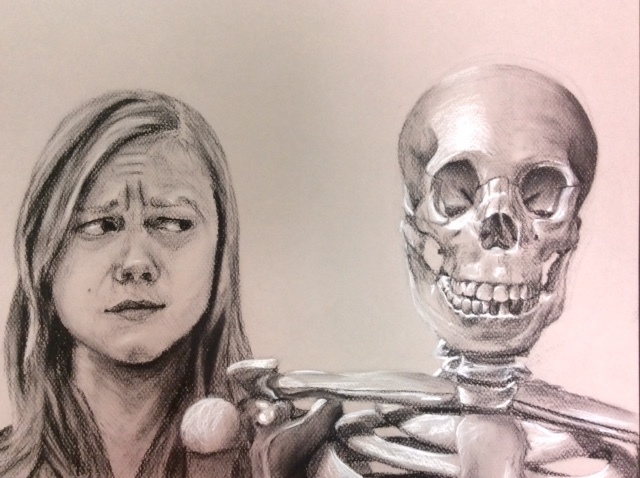 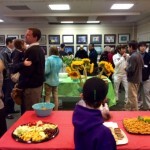 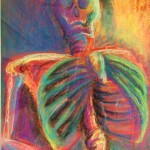 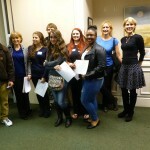 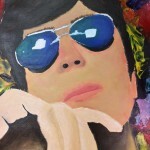 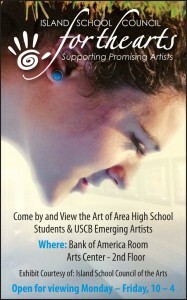 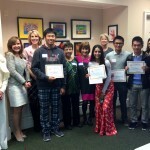 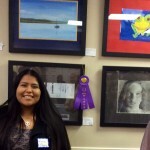 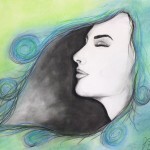 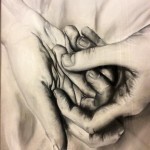 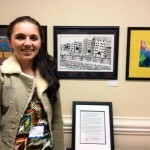 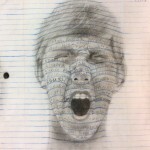 See the student artists and list of businesses on ISCA Events page.